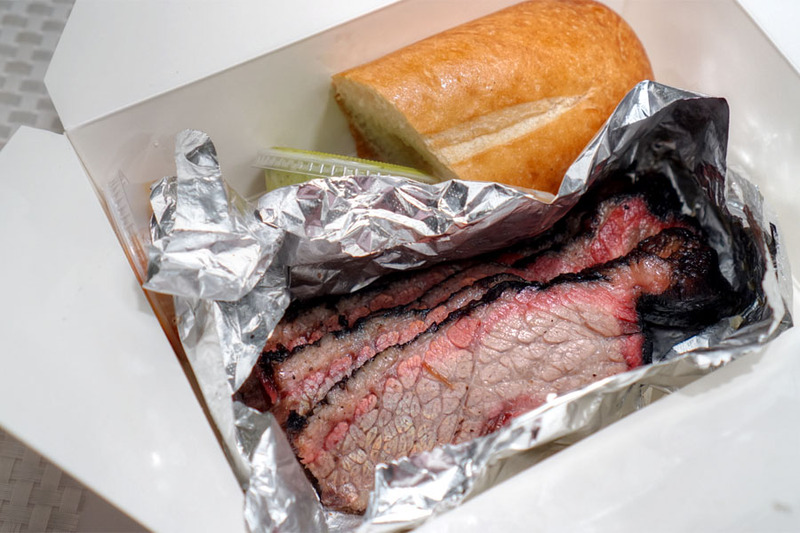 I recently found myself in the Artesia area looking to pick up some food to go, and ended up at LA Brisket, a BBQ joint that, as far as I can tell, opened at the start of 2016. It's not clear to me if the barbeque has a specific regional focus, though I'd go with Texas-style if I had to guess. The menu follows a familiar format, with a choice of four meats available in multiple formats, joined by some sides. I can't seem to not order elote (or esquites) when I see it on a menu these days, so here we are. 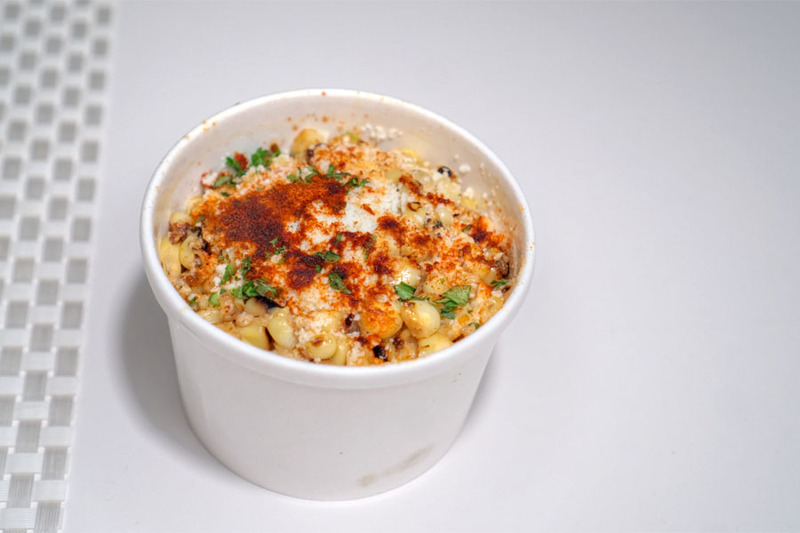 The dish did a nice job capturing the essence of street corn with its well-textured kernels doused with a good amount of cheese, chile powder, and lime. We made sure to try all the available meats, and unfortunately LA Brisket's namesake cut was a disappointment. I found it lacking in smoke flavor, or flavor at all for that matter. Besides being bland, the beef also ate tough, chewy, dry. There were pretty much no redeeming qualities, save for the bread (a soft, crusty baguette) and sauces (a tangy BBQ and a zesty cilantro) I suppose. 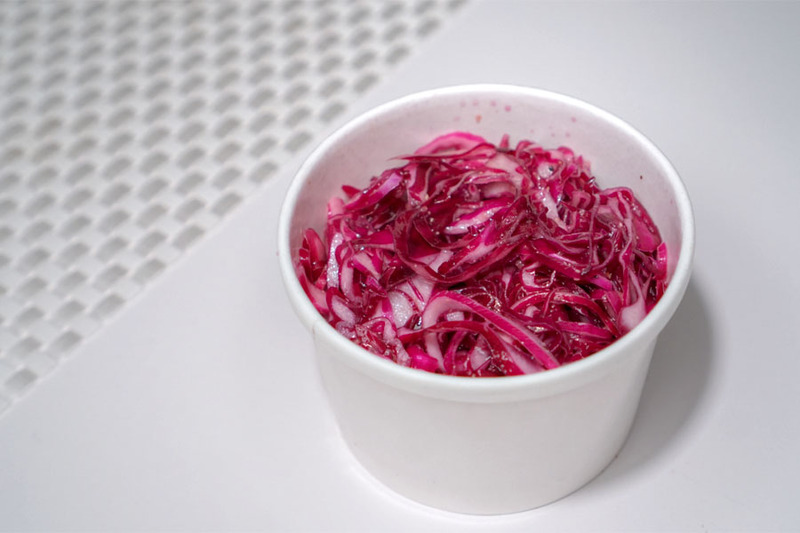 The coleslaw could've used some more variety, but nevertheless fit the bill, with a subtle sweetness balanced out by a persistent acidity. 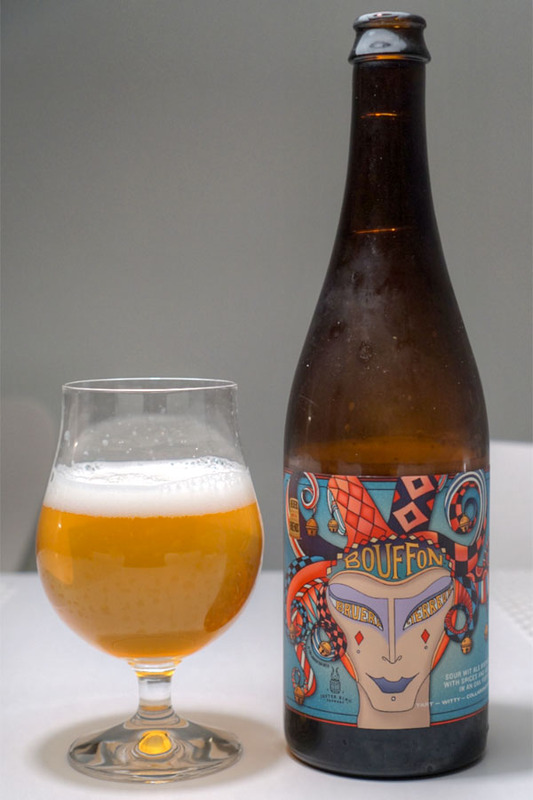 To go with the 'cue, we opened up a bottle of the 2017 Bruery Terreux Bouffon, an oak foeder-aged sour witbier brewed with bitter orange peel and coriander that was created in collaboration with Austin's Jester King. Nose of tart stone fruit and light barnyard. The palate conveyed more of that aforementioned fruit, along with peppery spice, subtle yeast, and lemon, all with a dry finish. Nice and refreshing. This was a pretty solid rendition of pulled pork. 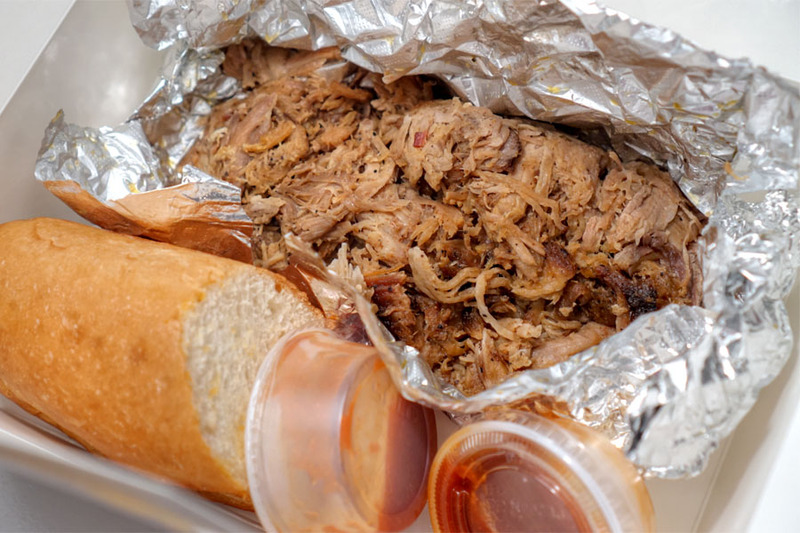 Texturally, I found it tender, yet substantial, while flavors were slightly sweet, but still highlighted the inherent character of the meat. 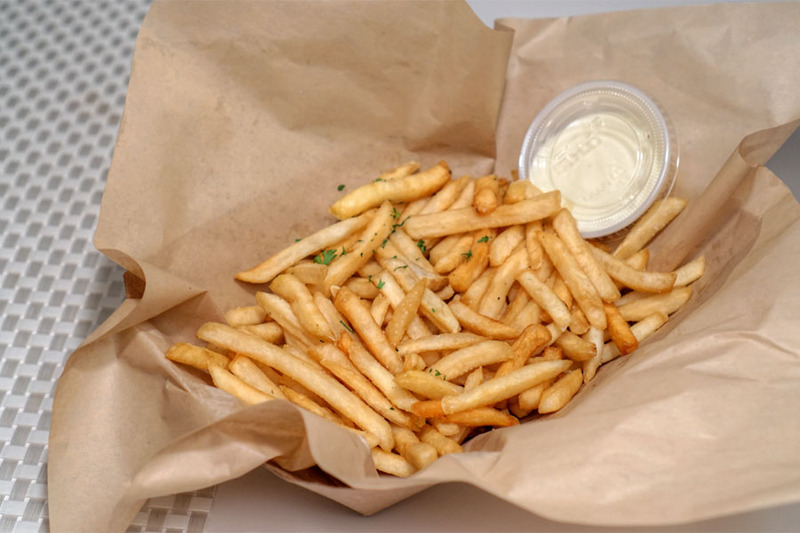 Fries were somewhat underseasoned, and otherwise fairly typical. 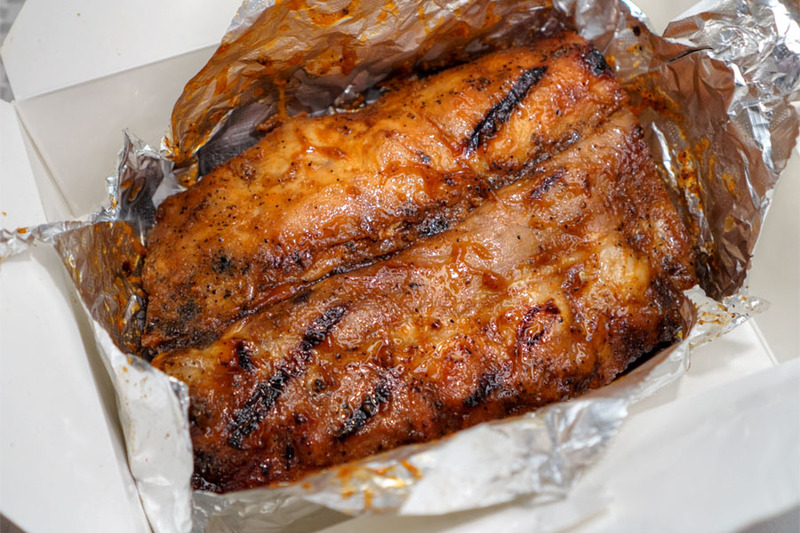 Unlike with most ribs in town these days, the meat here didn't "fall off the bone." It required some work, though fortunately the effort was largely worth it. Think homey and unabashedly porky, with a proper smoke and just a touch of sweetness on the back end. 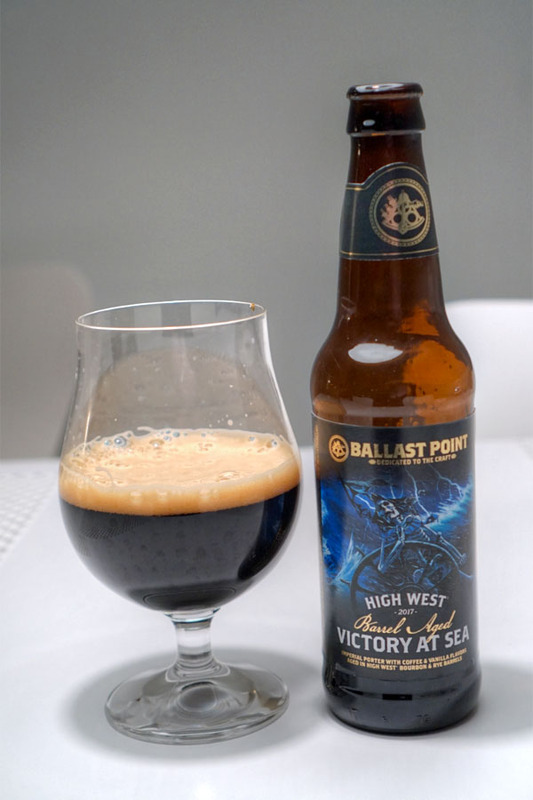 Our second beer was the 2017 Ballast Point High West Barrel Aged Victory at Sea, an imperial porter with Caffè Calabria coffee and vanilla beans that was aged in combination of High West bourbon and rye barrels. This one smelled strong of rich cocoa with a subtle booziness--very appealing. Taste-wise, I got spicy oak and smoke at first, joined by roasty coffee, dark chocolate, whiskey, and light vanilla, all over a malty base. 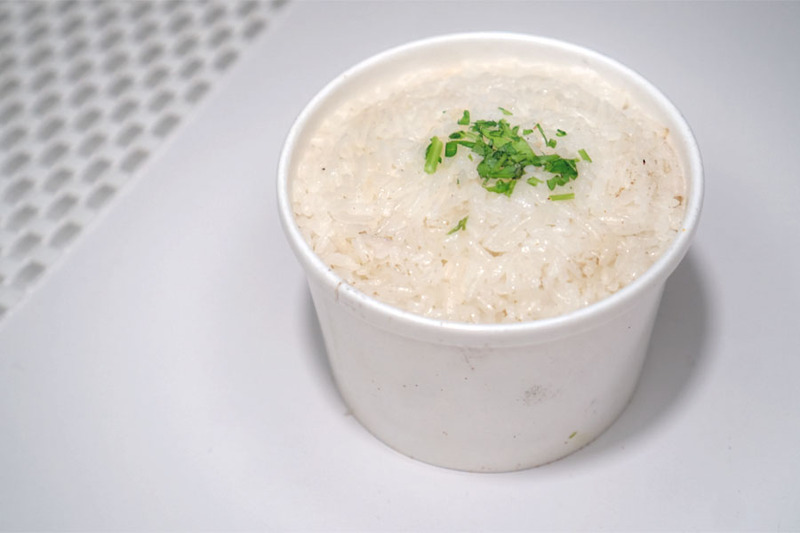 The rice was better than expected, with just enough garlickiness to keep things interesting. Our fourth and final meat managed to be my favorite of the night. The chicken was spot on texturally, coming out supple yet sturdy, with a nice juiciness. 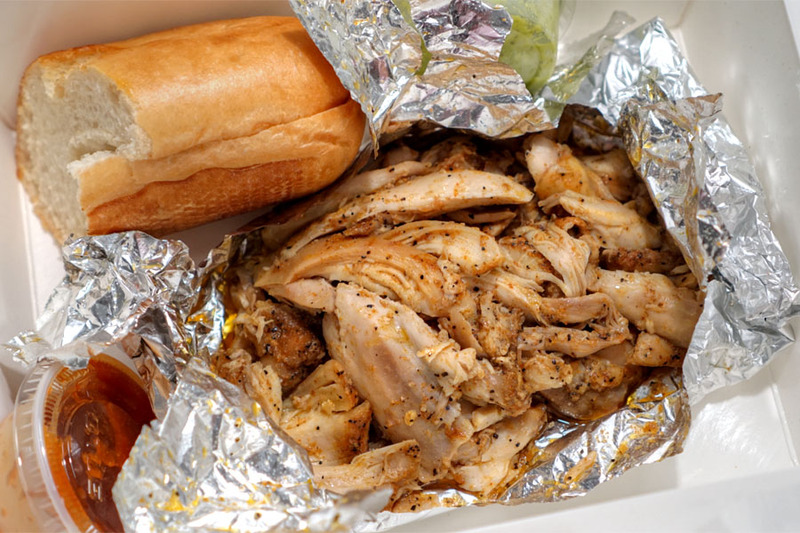 Flavor-wise, I got a lovely pepperiness that complemented the bird without overwhelming it. People seem to love this place, though I can't say that I do as well. The menu items I sampled were generally decent to good, but that brisket (generally my favorite BBQ meat) was pretty unforgivable. I guess I'm in the minority though, as the team just opened up a second location at The LAB in Costa Mesa. I won't be in a rush to try it out. Maybe your negative experience stems from ordering the food to go? How long was it sitting between preparation and consumption? Not saying your impressions were inaccurate or anything, but isn't it wiser (if your intent is to review the food) to consume it on the premises? Anonymous - it's bbq. THe food is prepped long ago. Not cooked to order. Anon, I don't believe that was an issue in this case, since, in addition to what Charlie said, the food only traveled for about five minutes before consumption. I go to LA Brisket at least once a week, and their brisket is inconsistent. I found that it's best when eaten at the restaurant, and when ordered after 7pm. I don't know why but every time I order brisket before 7pm, the brisket is not as tender. Anyway, when it's on, it's great and one of the better briskets I've had in the area. Despite its inconsistency, it's not inconsistent enough to avoid. It's a great local joint, with great prices. It also provides a different taste in a town with so many Chinese, Korean bbq, Sushi, Indian and Vietnamese, and Filipino restaurants.